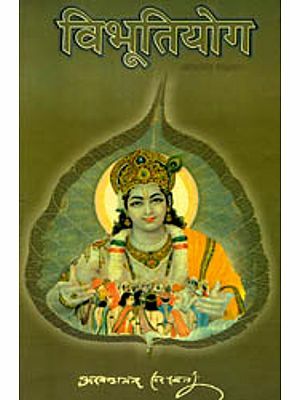 Sri Aniravan wrote almost exclusively in Bengali and only occasionally in English. This is a collection of all his English writings except his letters which he wrote to his western and non- Bengali friends and disciples. The present volume contains nine essays, the first on Buddhiyoga being the most considerable. 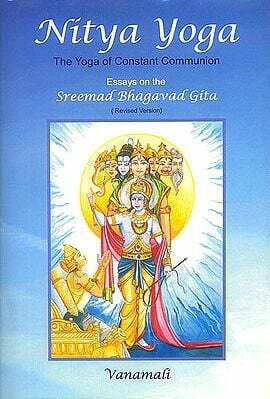 In these essays, Sri Anirvan covers a wide area and touches upon most of the salient points of Hindu spirituality, directly and indirectly. He roams through the cast territory of Hindu philosophical and theosophical thought with ease and familiarity. 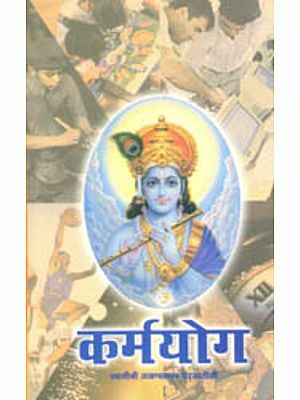 He combines scholarship with sadhana supported by an intellect which is analytic as well as synthetic. Beginning with the Rgveda, Sri Anirvan shows how for every Vedic concept or image there is a Puranic or Tantric Equivalent, how the same truths are found in Buddhism, and how they are celebrated by medieval saints. 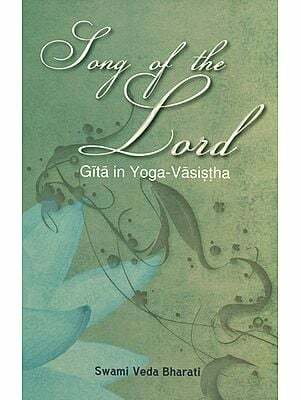 He shows inner links in the truths of different spiritual traditions and sadhanas and relates them to the deeper life of the soul. .then the Vedic spirit will draw upon him making the heaven and the earth one. Sri Anirvan was born on July 8, 1896 in the town of Mymensingh. At the age of eleven he knew the Astadhyayi of Panini by heart and daily recited a chapter from the Gita, he joined Assam Bangiya Saraswata Math, Kokilamukh near Jorhat in Assam, at the age of sixteen. Meanwhile, he had appeared for the matriculation examination which earned for him a state scholarship. He went for his college studies to Dhaka and later on to Calcutta. His educational career was brilliant and he always secured record marks. 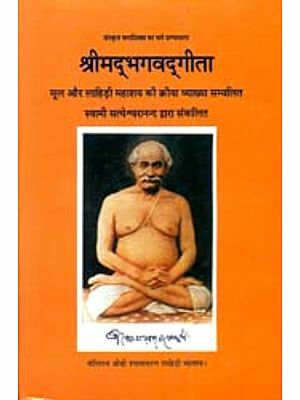 After completing his studies, Sri Anirvan took Sanyasa and became Nirvanananda Saraswati. But a few years later he dropped the ochre robes and changed his name to Anirvan, by which name he became known to the world at large. Between 1930 and 1942, he lived with a friend at Allahabad, Lucknow, Delhi and Ranchi and also established an ashram in Kamakhya near Gauhati in Assam. Later on, he moved to Lohaghat in Almora where Madame Lizelle Reymond met him and stayed with him in her My Life with a Brahmin Family (1958) and to Live Within (1971). In 1953-54, Sri Anirvan moved to Shillong in Assam and finally to Calcutta in 1965. He fell ill in July 1971 and passed away on 31 may, 1978, at the age of 82. 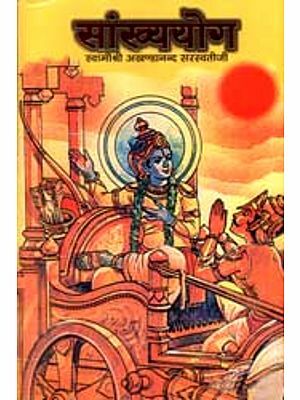 His first book was a Bengali translation of Sri Aurbindo's The life Divine which was published in 2 Vols. During 1948-51. But the centre of his studies was the Vedas on which subject he acquired a rare mastery over the years. His great work, Veda Mimamsa, was published in 3 vols. In 1961, 1965 and 1970. 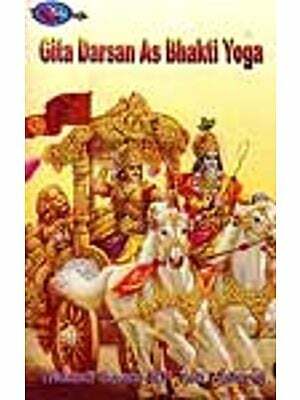 Meanwhile several other works on the Upanishads, the Gita, Vedanta and yoga had also been published. is there a punjabi version of this book?